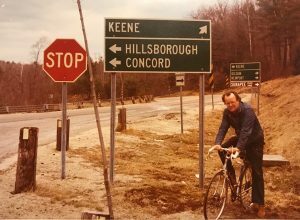 HISTORY: In 1972, Robert S. Neuman was driving on a New Hampshire highway when he saw a sign for Keene State College. He stopped by on a whim; he was looking for a new teaching position and as luck would have it, the College was looking for a Chairman for its Art Department. Within five years, Neuman had transformed a “department” that consisted of only a few rudimentary classes into a structured, thriving hub for the arts. After taking two years off to focus on his own work, Neuman returned to the College as professor of painting until his retirement in 1990. He passed away in 2016. 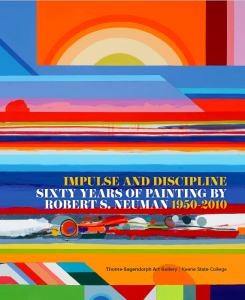 In 2018, Keene State College and the Thorne-Sagendorph Gallery celebrated Neuman’s life and career with the retrospectives Impulse and DisciplineandUnboxing Bob.Accompanying panel discussions by scholars, students and friends further examined his contributions to the College and the art world at large. This outpouring of admiration for Neuman the artist, teacher and man inspired an endowed art fund to carry on his legacy. PURPOSE: Neuman taught his students that using quality materials was key to their artwork’s longevity. However, he knew firsthand how hard these could be to come by amidst the ups and down of an artist’s life. The Robert S. Neuman-Thorne Art Award is a grant for talented art students at Keene State College. The grant will help them purchase the quality art supplies needed to fulfill their artistic potential. ELIGIBILITY: Rising sophomores, juniors and seniors who have been formally accepted into the Art Program at Keene State College and who maintain a 3.0 GPA in art-related courses will be eligible for the Robert S. Neuman-Thorne Art Award. SELECTION PROCEDURE: Recipients of the Robert S. Neuman-Thorne Art Awardwill be selected by a committee of Art Department faculty each spring based upon the students’ excellence in art. Each award will be for one academic year and may not be renewed. FUNDRAISING DRIVE: Funding will be provided through contributions made in memory of Robert S. Neuman and in honor of his long service to Keene State College by friends and members of the College community. Any interested party can make a contribution. Contributions will be held in trust by the University System of New Hampshire. Contact christina@sunnesavage.com for more information on donating.